Oh K! 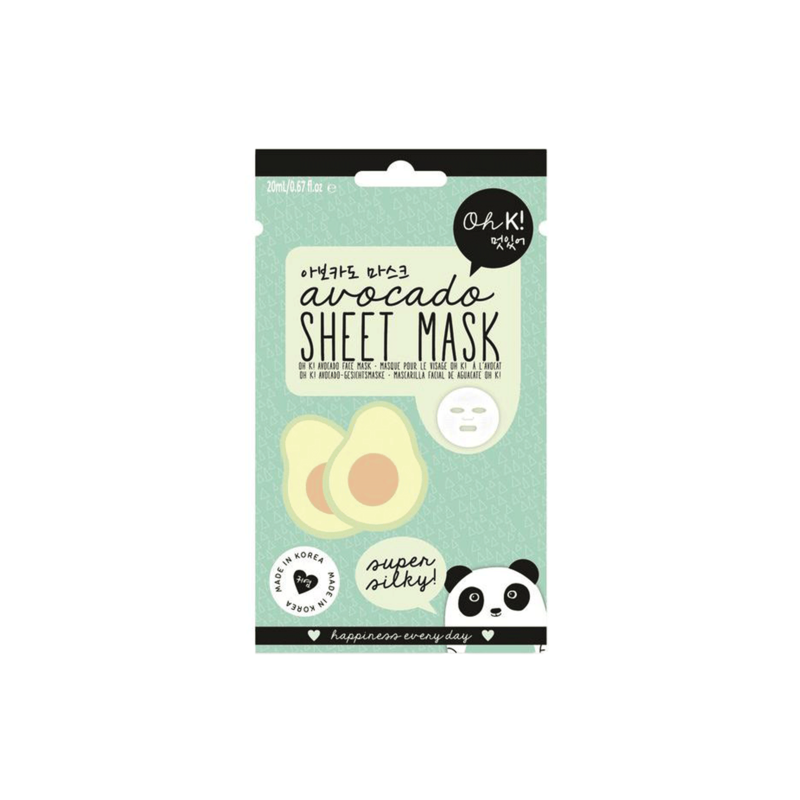 Avocado Sheet Mask-Oh K! Harnessing the power of our favorite super-food, this avocado sheet mask is deeply nourishing. Formulated to deliver intense hydration to dry or dull skin it will leave your face feeling soft and supple. Made using extract of avocado fruit and chamomile flower, these natural delights deliver intense hydration to the skin.